Traveling for the first time with incontinence. Mary is an active, working, highly social adult with incontinence. Recently however, she found herself in a new situation since being diagnosed with incontinence. She had a planned to take a weekend trip and was worried how she would be able to manage her incontinence effectively and discreetly. While she had strategies in place for home and the office this was the first time she would be away from both and she worried about having the right strategies in place. This included have the right incontinence supplies and not running out. She naturally wanted to be able to enjoy all the activities at her destination. She was determined her incontinence wouldn't slow her down and she would do what it takes to get it all done while still enjoying her weekend! One of the most important strategies is to have the right incontinence product to use. When you are able to find the right incontinence supplies for your needs then you can continue on with the activities you enjoy comfortably all the while managing your incontinence discreetly. Today, there are more choices of incontinence products than ever before. However, with all the choices comes confusion about which incontinence products will work best. In a recent study, Kimberly-Clark, makers of Depend and Poise brands, discovered those buying incontinence products for the first time, waste $130 on average in trial and error mode. That’s about 10 bags of products which can’t be returned, once opened. This means consumers are often stuck with an incontinence product which doesn’t provide them with the highest levels of protection against leakage and accidents. That’s why The CareGiver Partnership has taken steps to help make choosing incontinence supplies easier. They offer an incontinence product sample service to help you avoid the costly mistake of ordering a case of product which does not meet your needs – risk free. They offer over 100 different samples-brands, styles, sizes, and absorbencies to choose from. The cost is only $3.49 for shipping. The brief video below explains how their Try Before You Buy sample service can help you avoid the costly mistake of ordering a case of product which does not meet your needs. Mary had done some research and tried some incontinence samples. After some testing she realized Depend incontinence products were right for her needs. She knew the first step in managing her incontinence was to have the right incontinence supplies and when she did, she knew she could manage her incontinence symptoms and it wouldn't matter where she was. Like Mary, a majority of consumers choose Depend to help them manage their incontinence symptoms. Here are 3 reasons why Depends can help you or a loved one in your care manage their incontinence symptoms whether at home or while traveling. Depend is the number one selling brand in the United States. More people have been relying on Depend since 1978 than any other brand. Consumer confidence is high in the Depend line because of the reliability of each incontinence product and the high level of protection they offer. The makers of Depend also understands both men and women have very different needs when it comes to incontinence products. Several items in the Depend line are made for the specific needs of both men and women so you can be sure you will be getting the most effective protection available. Depend offers a wide range of products which allows anyone to find exactly what they need to manage their incontinence effectively. While many other lines of incontinence products only offer a few items, Depend offers a wide selection so each consumer can find what they need to most effectively manage their incontinence symptoms. From pull-on underwear, adjustable incontinence underwear, adult diapers, shields and guards as well as underpads, most everyone can find exactly what they need in the Depend line when it comes to incontinence underwear or other incontinence supplies which may be needed. Depend understands the needs of the consumer with incontinence who still wants to be active and on the go. 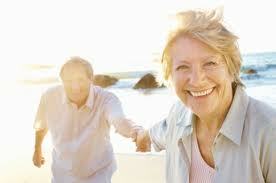 Many people assume the only people dealing with incontinence are the elderly and very ill. It can be surprising to learn many adults with incontinence are active, working, and highly social. This makes the need for discretion a priority in both in the wearing of any incontinence product. Depend has designed a modern take on incontinence underwear with the Depend Silhouettes for Women and Depend Real Fit for men. Unlike ordinary pull-on underwear these feature Depends most highest level of absorbency, odor control, and a slim side profile for a discreet fit. They are also made with a cloth-like fabric which is soft and quiet. Both incontinence products have a finished elastic waistband which fits like cotton briefs and all-around leg elastics for leak protection. They are designed to be as close to regular underwear and can be worn under even snug fitting clothes with discretion. Even when you have an idea of what incontinence products you are looking for it can still be overwhelming. That’s why the free & easy Incontinence Product Finder was developed. It saves you time, money and frustration by making it easy to sort through hundreds of products - fast. The video below explains how it works. Questions? Call 800-985-1353 & speak with one of our knowledgeable female product specialists, who are or have been caregivers. Flushable wipes, disposal bags and skin caring products. Other products that can help you manage incontinence while on the go are discreet disposal bags and flushable moist wipes. We really like the Kleenex Cottoneele moist flushable ones. Disposal bags for discreet disposal are helpful as well. Lastly is skin caring products, if needed.